Whoever need a slow internet connection? Of course, we want to experience better at browsing. Indeed, this latest update of iOS has a great way to block ads, in such it makes it faster. Well, this is great news for Windows 10 new users, the globally acclaimed leader of computer optimization solutions, iolo technologies' System Mechanic 14.6. The newest version for this PC optimization software will be fully compatible with Windows 10. As more users preferred Windows 10 as their primary operating system, iolo Technologies sees great opportunity to update System Mechanic to fully equipped with the OS. System Mechanic 14.6 delivers best PC performance optimization features available not only Microsoft's latest OS, but its lower versions namely; Windows 8.1, Windows 8, Windows 7, Windows Vista, and Windows XP. In a press release, iolo Labs has tested and optimized for Windows 10 extensively to ensure that System Mechanic 14.6 is fully compatible with the new operating system. Ideally in most businesses or government offices, productivity means a bread-and-butter. Be it a good or services. With the efficiency of time and quality enhancement programs set in, more output will be made in a specific time range. If you want to access some blocked websites by your Internet Service Provider, then you need this software. If you want to prevent from hackers, then you need this software. If you to protect your online presence and have a privacy on surfing, then you need this software. Be anonymous and freely surf the internet! Do you find it more frustrating to have a slow internet connection? While it internet speed is one of the crucial factors of any PC user's experience, iolo technologies, re-engineered its NetBooster to enhance internet speed and performance. By far experience, Google Earth provides me a great detail on the places that I wanted to explore namely — Paris, Japan, Sweden, UK, New Zealand, Greece, and other cold countries. But that's not all, I usually use Google Earth to view Typhoon or weather forecasts' images for monitoring purposes, yeah it works pretty well. [ FREEBIE ] System Mechanic: Clean Out Your Computer Day! February 9, 2015 will be the Clean Out Your Computer Day! With that, iolo technologies will offer tips, promotions, and giveaways to celebrate the fun day! What if your PC suddenly crashed or its hard-drive failed, and the worst thing is, you don't have any important backup files — which is frustrating, what will you do? Certainly you will cry, regret, and repent! Sometimes, we fail to backup our important files even though we already knew that we MUST do backup files in the first place. This is probably because we are just too lazy to setup or maybe we don't have actually an information about securing digital data files. Am I right? Android smart phone has incredibly gained lots of market shares in global scope. Indeed, it is become the favorite of most used mobile by users due to its brand varieties and multiple functions. Assorted brands such as Samsung, HTC, LG, and Sony offer products and services to people with different user experiences. For the masses of Android users, there is a bit doubt that the longer we use the Android smartphone, the more data our phones will be stored. We may be acquainted, indulged or met with those diverse strangers, friends, colleagues, or co-workers in our daily life. Thus, the more phone numbers and text messages are added to our Android phone storage, the storage capacities will be decreased. In the advent of ever-increasing data: contacts and message, we need to find a convenient and reliable way to keep them safe. Did you notice that more Android phone users are getting used to adopt Mac PC rather than Windows or Vista/7/8 series products? With the latest news released in the world that windows will be no long upgraded, more users turn their thought to Mac instead of Windows system. Same like Mac system produced by Apple, Android phone operation system are regarded as the license to innovation, which drives billions of users keep Android phone to work in the world. Instagram is incredibly one of the most used online photo-sharing apps to date. I'm pretty sure you get excited whenever you are in a cool place or have a different food menu. Sometimes, people like me only want to use more of PC. Relatively, I am using more of 90% of the time on Desktop and only 10% on my smartphone. Ideally, though, I don't exert more time on using any app like Instagram. Do you ever want to transfer photos/videos/mp3 from your PC to your iPhone/iPad/iPod? Well, honestly, it took me few days to research a FREE solution to transfer files in iOS gadgets to PCs. With lots of software downloaded and tested, this one is exactly what I needed most and its works pretty simple and useful. The fact that it transfer files, this software is totally FREE. Now, I found this ultimate software solution for iOS devices and PCs — I want to share it too. 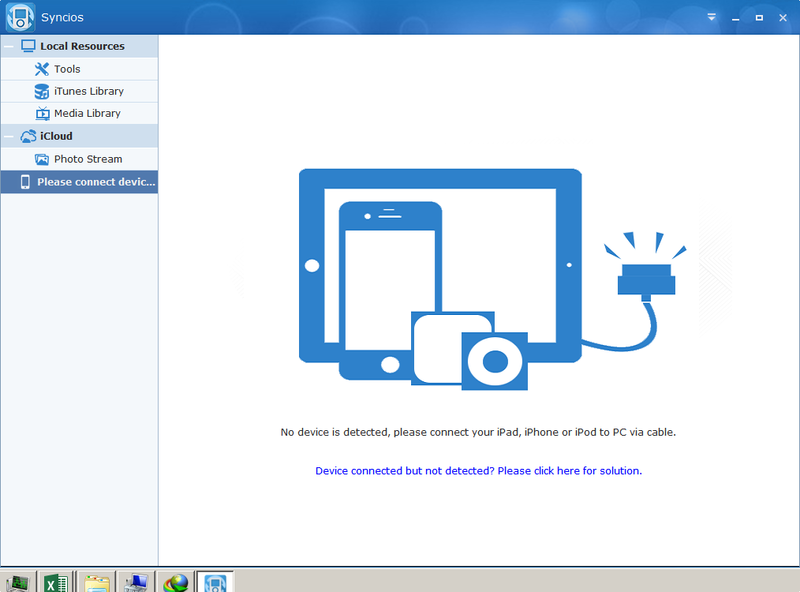 Okay, let me introduce SyncIOS that lets transfer one iOS device files to PCs. Syncios is a FREE software for iPad/iPhone/iPhone transfer to PC. What do it does? It can access it to any iOS devices, you can manage and backup media files too. The thing is, you can convert your files to make it more compatible to your device. Want the best result in terms of performance of your PC? The new System Mechanic 12.5 just released to serve you. This version features LiveBoost™ Technology that will tune up, repair, and optimize performance. Right now, I am proudly System Mechanic user for almost 4-months as of this post. I had reviewed it for awhile and now, I will be reviewing again to tell great features and news. What are the features of the new System Mechanic 12.5? Do you still use real books to read? We can't argue and it is no doubt that eBooks have become more trending for past few years already. Reason? This is probably due the fact that more users are using smartphones and tablets. Is it a goodbye for real books and say hello to paperless books? Some said this is a crap modem because probably they cant edit the config in this APN. Smart has this in mind with creating this modem. But there are some people exert efforts to make it more valuable and useful. "Be Free to Communicate. Call and text anyone, anywhere." Have you ever want free phone calls on your iPhone and Android? Yes, I'm sure you will like it. Viber lets you send text and make phone calls to anyone especially with your loved ones who also has this application installed on their smartphone. It's Free! All features are 100% FREE! No username, PIN once activated.